Organize and decorate the classroom all at once with Kaplan's selection of bulletin boards and supplies. Products include magnets, corrugated bordette, dry erase boards and markers, chalkboards, and bulletin board folders. Enhance any classroom creations, bulletin boards, windows, doors, lockers, and much more! Easy to customize - each roll can be used individually or layered to create your own unique style. Cut borders to desired length. Each roll measures 36' x 2.25". 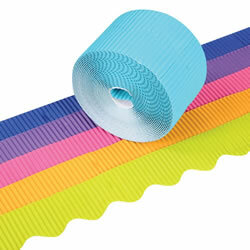 Included: 6 Rolls of solid border: White, Black, Lime, Navy, Yellow, and Red. Enhance any classroom creations, bulletin boards, windows, doors, lockers, and much more! Easy to customize - each roll can be used individually or layered to create your own unique style. Cut borders to desired length. Each roll measures 36' x 2.25". 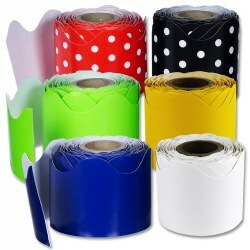 Included: 6 Rolls of polka dot and solid border: Red and white, Black and white, Lime, Navy, Yellow, and White. Create a writing surface almost anywhere you want with this self-adhesive chalkboard liner. Apply the shelf liner to any smooth surface and if you need to make a change, just wipe it clean. 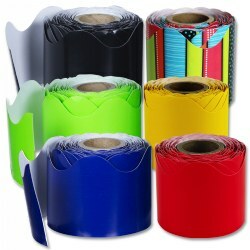 With a self-adhesive backing, simply cut to size or shape, peel, and stick. It can also be repositioned. 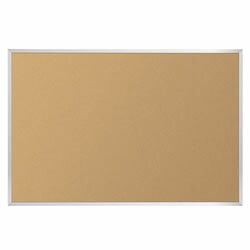 Eco-friendly natural cork tackboard with aluminum trim for a traditional and economical board. 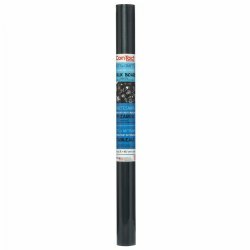 Recyclable surface is bonded to insulation for superb tack-holding ability. Surface is durable and self-healing. Organize and create anywhere! 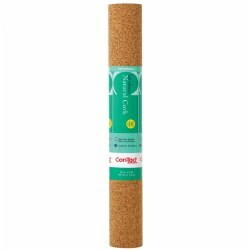 Make any space work for you, no matter the size or shape, with cut-to-fit, self-adhesive and removable rolled cork. Measures 18" x 4'. 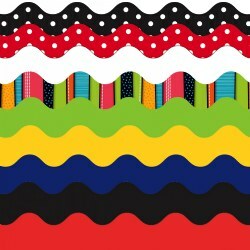 Scalloped edge cardboard trim in bright colors, 2 1/2 inches wide x 50 feet. Purchase the 6-pack and SAVE! This extra-heavy 50 lb. 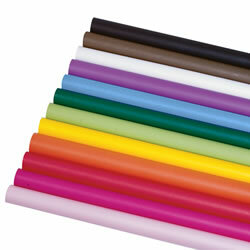 colored paper is perfect for bulletin boards, banners, and large classroom art projects. 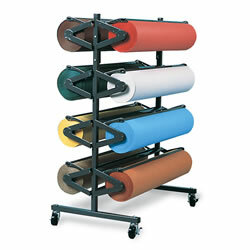 Works great in the 48" paper cutter/dispenser (#17441) sold separately. 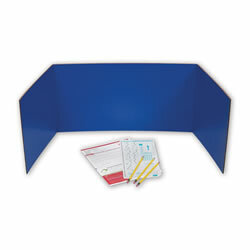 Keep students focused and curb wandering eyes with these tri-fold color privacy screens in sturdy lightweight corrugated cardbord. Great for testing centers or private study areas. 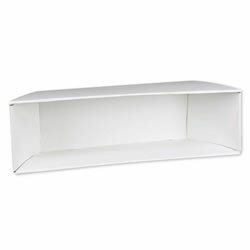 Sturdy construction with clean lines and side panels that fold flat for storage when not in use. 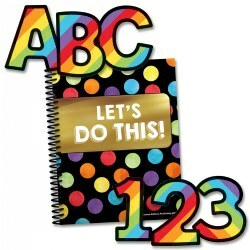 Set of 12 includes three each of red, blue, green, and yellow. Carrels measure 12"H x 48"W each. The center panel measures 12"H x 22 1/2"W and the side panels measure 12"H x 12 3/4"W.
This extra-heavy 76 lbs. paper is perfect for bulletin boards, banners, and classroom art projects. The ArtKraft Paper Rolls are heavyweight paper rolls that are smooth on one side and has a "toothy" surface on the back. 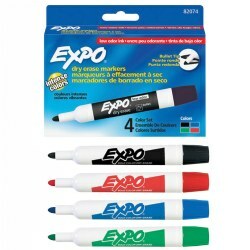 The smooth side is great for fine-line drawing, felt pens and markers, and finger painting. Use chalk, tempera, watercolor and acrylic paints on the rough side. Paper cutter and other colors sold separately. This extra-heavy 50 lb. 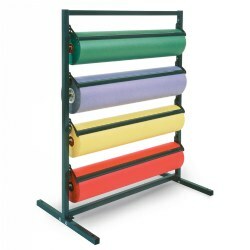 colored paper is perfect for bulletin boards, banners, and large classroom art projects. Works great in the 36" Paper Cutter/Dispenser. Use these easy-to-assemble corrugated dioramas to take your projects to the next dimension. 22" x 7". Set of 12. Pack of 3 - 16 1/2" x 22" dry erase calendars allow 3 months to be displayed at one time. The adhesive back makes it easy to adhere to any hard surface. The dry erase feature allow the calendar to be used over and over again. Enhance any classroom creations, bulletin boards, windows, doors, lockers, and much more! 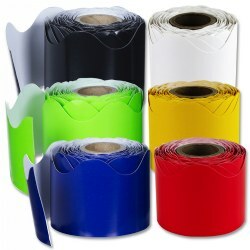 Easy to customize - each roll can be used individually or layered to create your own unique style. Cut borders to desired length. Each roll measures 36' x 2.25". 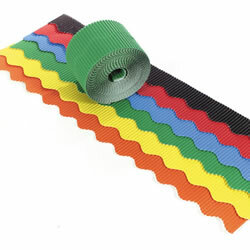 Included: 6 Rolls of striped and solid border: Striped, Black, Lime, Navy, Yellow, and Red. This beautiful, shiplap themed paper is ink-coated on one side so the colors won't fade. Have fun using it to decorate bulletin boards, party rooms, and more! Size: 48" x 50'. Turn your classroom or any room into eye-catching space that is inviting and full of character! 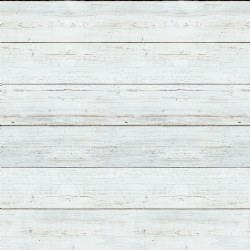 The Fadeless Design White Shiplap Paper is durable, fade-resistant paper that is acid-free, strong for folding, cuts cleanly, and will not crack so it will last for long periods of time. 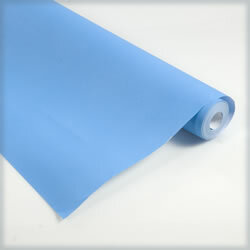 Perfect for backgrounds, displays, table skirting, party decorations, and more. The possibilities are endless! Paper is recyclable. 48" x 50" rolls. Grades 3 & up. 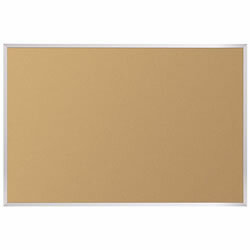 These trifold, corrugated white display boards can used for all types of displays. 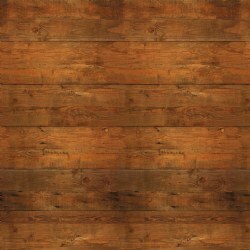 Board size 48" W x 36" H. Available in single boards or set of 24. Grades 3 & up. 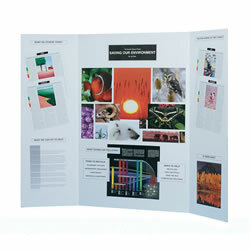 These trifold, corrugated, white display boards are great for all types of displays and presentations. Folds for storage. board size 48"W x 36" H. Set of 24.